Professional athletes, weekend warriors and the unfortunates who suffered as a result of accidents have turned to regenerative medicine techniques such as prolotherapy to treat acute and chronic injuries. If you are one of the above, or if you suffer from the following painful conditions, then prolotherapy is right for you. Almost 50 million adults in the US have been told by their physician that they have some form of arthritis? Prolotherapy is an effective treatment of chronic pain in the joints and spine. This simple, natural technique stimulates the body to repair the painful area, acting hand-in-glove with the body’s normal healing process. In my experience treating patient with prolotherapy over the last decade, is that it should be considered the first line of treatment for ligament/tendon tears and chronic pain. 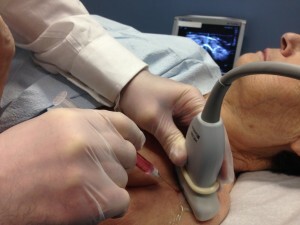 Prolotherapy is a much less invasive, non-surgical technique that delivers good results without significant side effects. Prolotherapy (proliferation therapy) is a safe and effective treatment. Its origins date back to the early 1950s with Dr. Gustav Hemwall. Dr. Hemwall developed this procedure to treat his own wrist injury. It took the rest of the country about fifty years to catch up, and the Mayo Clinic finally endorsed prolotherapy in 2005. Prolotherapy involves a series of dextrose (dextrose = concentrated sugar) injections at the site of injured ligaments or tendons. The injection kick-starts the healing process and promotes connective tissue repair. As a result, patients experience improved joint function and reduced pain. Prolotherapy is much more effective than the commonly used anti-inflammatory medications. These medications fail to enhance the function of the affected area and often have major side effects. Prolotherapy assists the body in its natural ability to repair damage in areas of chronic pain. Pain in the joints and spine in most cases come from instability of joints and affected areas of the spine due to tear and wear of ligaments and tendons, which in a healthy state provide the joints and spine with structural stability. The body has an innate capacity to heal itself. When we cut our skin, it heals. When we break a bone, or tear a ligament or tendon it also heals. To start the healing process, the body creates local inflammation at the site of the injury. This sets in motion the body’s normal healing process, attracting growth factors and stem cells like a magnet to the affected site. Eventually, new collagen forms and the injury improves. However, the body’s natural healing process is too slow! Prolotherapy utilizes this same natural healing mechanism by greatly stimulating body’s natural repair and regeneration function. This regeneration process involves release of Growth Factors, attracting Stem cells to the damaged area, and increased production of collagen by Stem cells-turned-into-fibroblasts (cells that make collagen). Each treatment leads increased strength and thickness of the damaged ligaments and tendons. The effect is an improved stabilization of the joints and faster healing. Patients can return to light exercise only days after receiving prolotherapy injections. Who will benefit from prolotherapy? If you have any type of joint, tendon, or ligament pain, you are a prime candidate. I have successfully used prolotherapy for over a decade to repair damaged tendons and ligaments and to reduce or eliminate pain. Even old injuries, which are vulnerable to re-injury and a recurrence of pain, will find relief with this treatment. Prolotherapy can also address ligament and tendon weakness, and can even tighten up loose joints, resolving hypermobility problems. Patients who suffer from frequent shoulder dislocations have been known to avoid surgery with prolotherapy. Prolotherapy injections are administered as necessary, depending on the patient’s healing progress. Everyone responds to this treatment in a different way. For some, only one injection is necessary to resolve the issue. In my experience, most patients may only need 2 to 4 injections, once a month, to heal. Although Prolotherapy injections are very effective in regenerating damaged/torn cartilage and tendon injuries, eliminating pain from arthritis and other similar degenerative conditions, I offer a much more effective treatment. This is called platelet-rich plasma. In that therapy, a patient’s own highly concentrated platelets are injected into the injured site, instead of dextrose. This therapy is a faster and better treatment, and usually requires fewer injections to eliminate the problem. However, it is a more expensive out of pocket approach, since neither Prolotherapy nor Platelet-Rich Plasma are covered by insurance. The New York Times August 2007: “The technique reactivates the healing process by injecting a mildly irritating substance – commonly a somewhat concentrated sugar solution along with the pain killer lidocaine – into the injured area to stimulate a temporary low-grade inflammation.” Click here to read the full article. The New Age of Prolotherapy, Practical Pain Management, May 2010. ”Platelet rich plasma (PRP) therapy, like Prolotherapy, is a method of injection designed to stimulate healing.” Click here to read the full article.